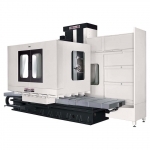 T-type boring mill expertly handles heavy-duty, high-precision machining with a moving column on the Z-axis for larger machining capabilities. 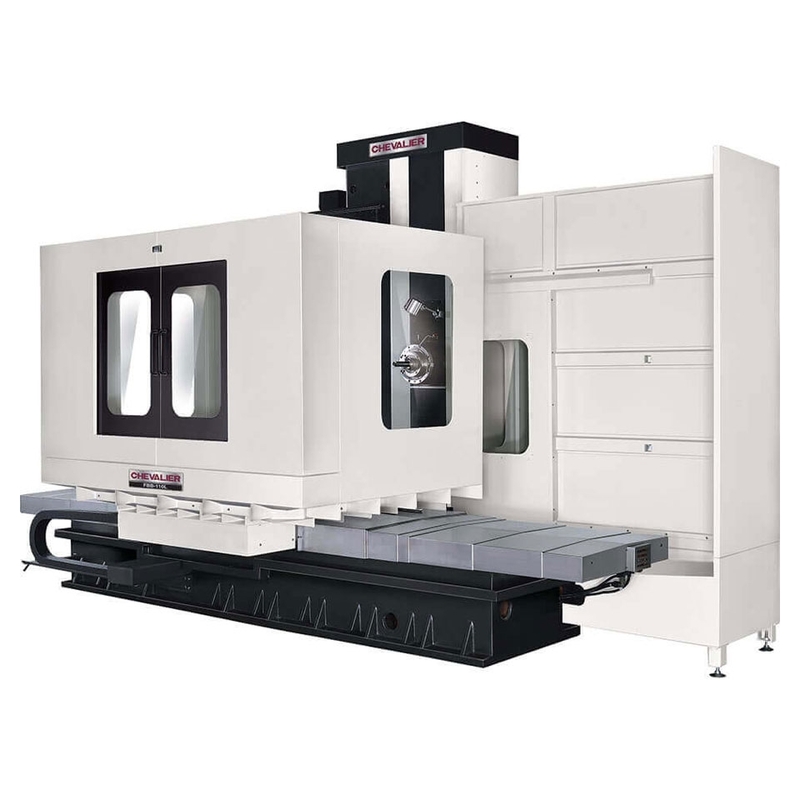 Extra rigid design of the main machine body and column ensure outstanding structural stability along with the one-piece machine base that includes four guideways on the Z-axis for full table support. A spiral-type spindle cooling system provides constant and all-around lubrication, preventing thermal deformation and substantially prolongs the life of the spindle, bearings and gears. The double rack and pinion system design ensures smooth interpolations and excellent machining accuracy.